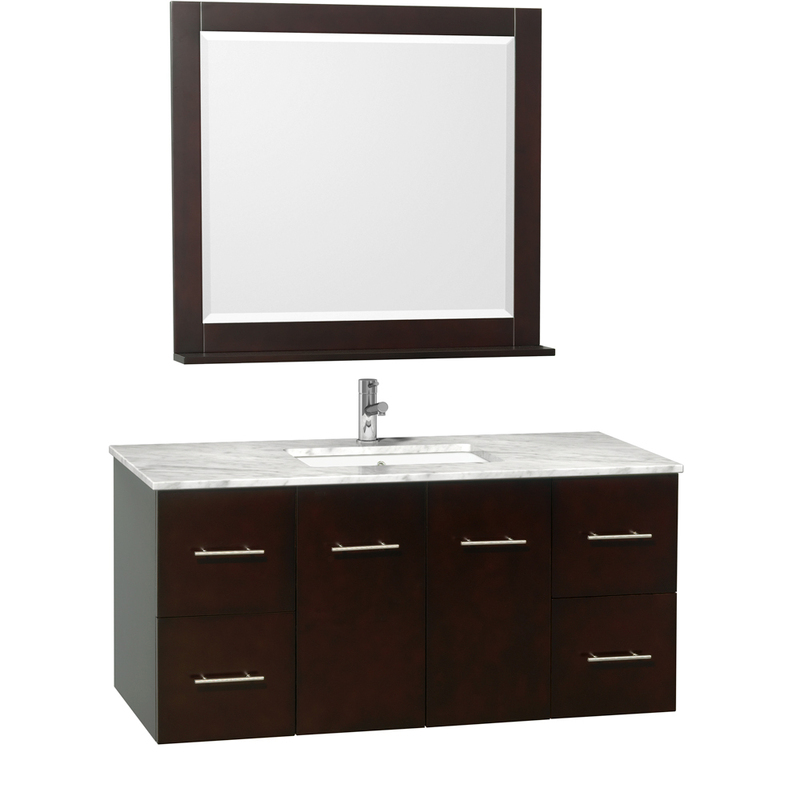 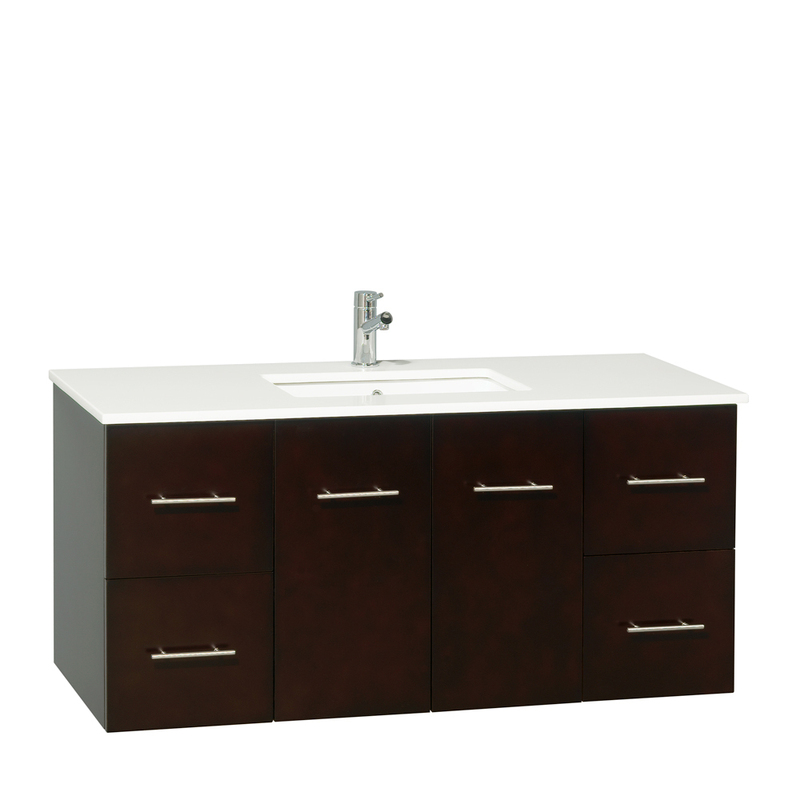 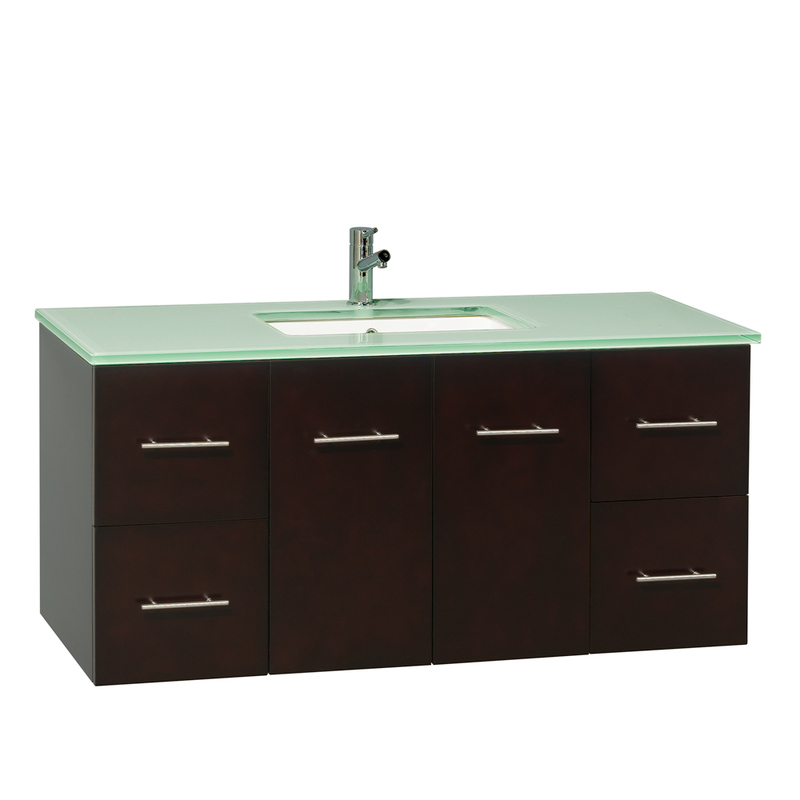 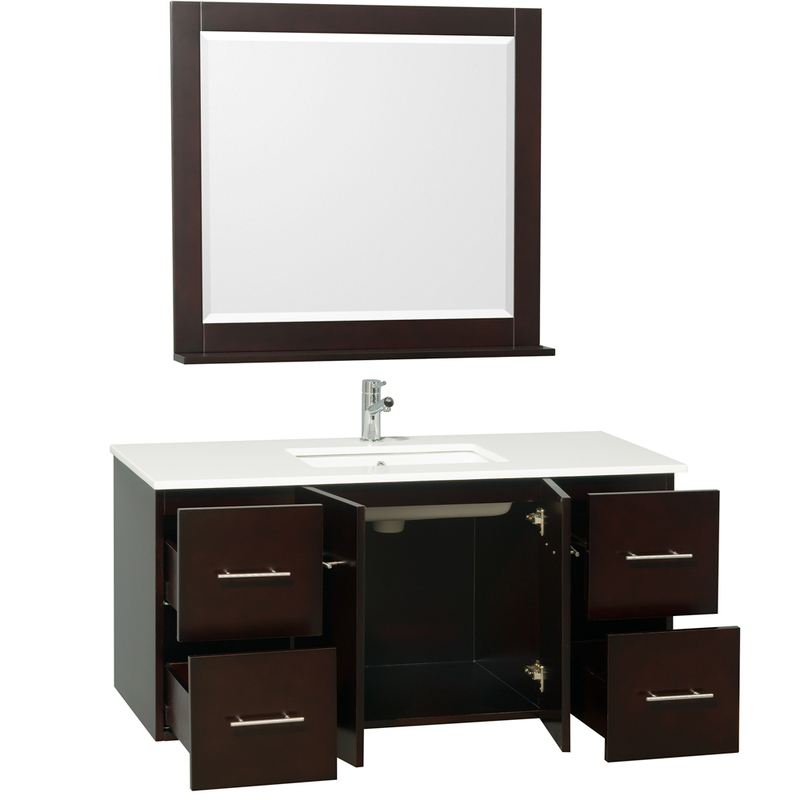 A large counter space, matched with a large storage space, makes the 48" Zentra Single Vanity an attractive, yet functional addition to any bathroom. 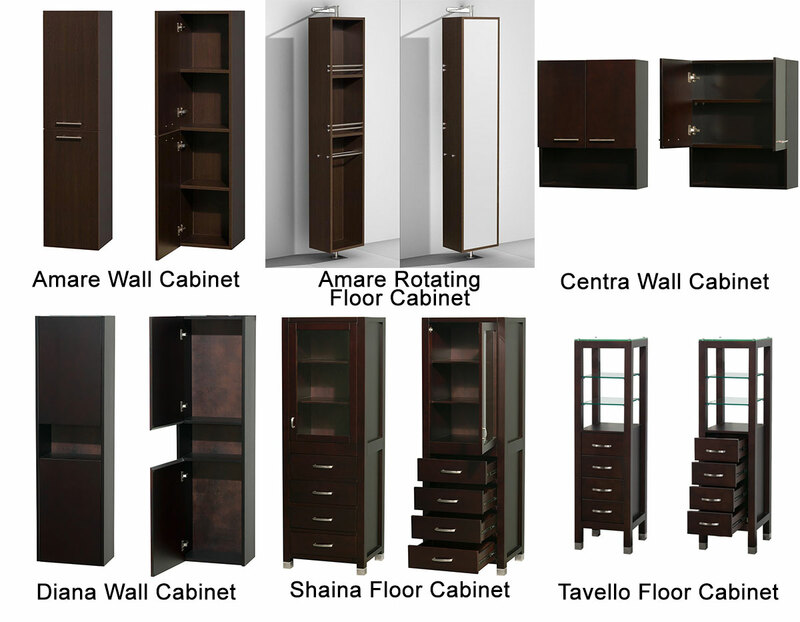 The solid oak cabinet is finished with an Espresso wood grain and features a double-door cabinet and four fully-functional drawers. The top is available in four different options - choose from green glass, white artificial stone, ivory marble, or white carrera marble. 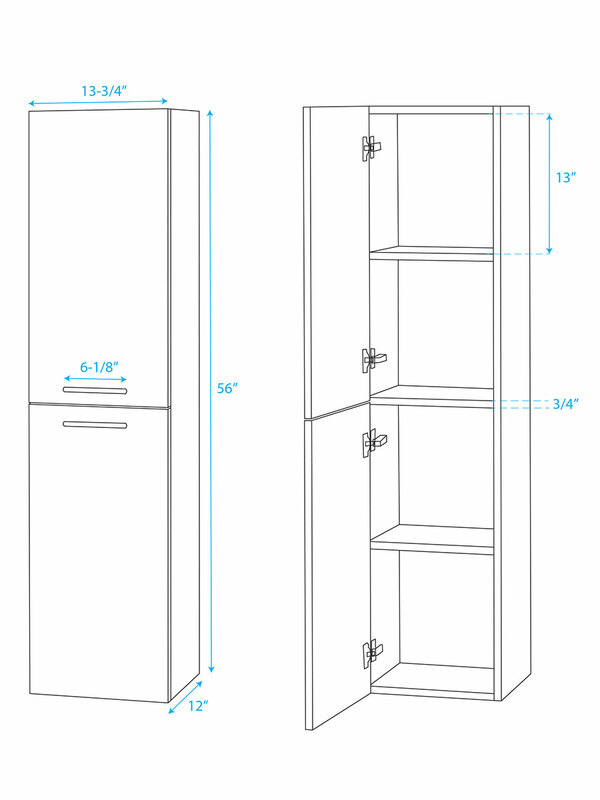 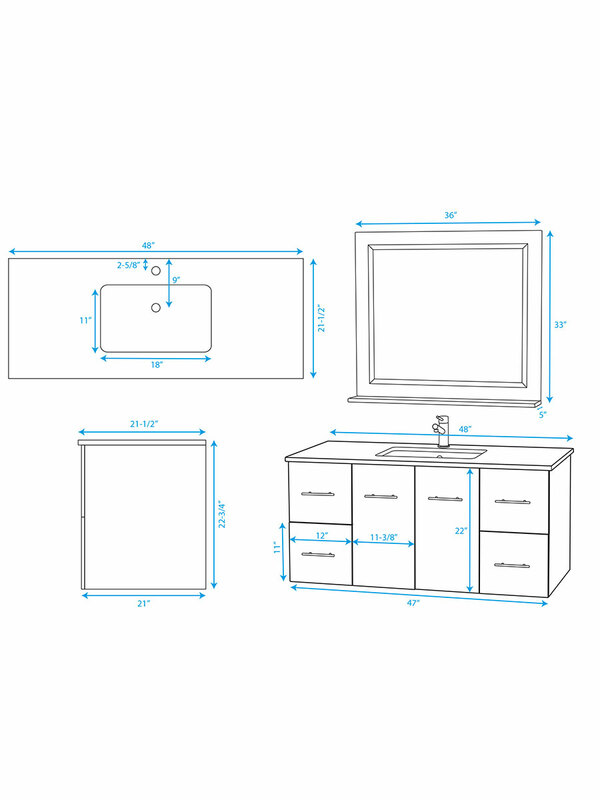 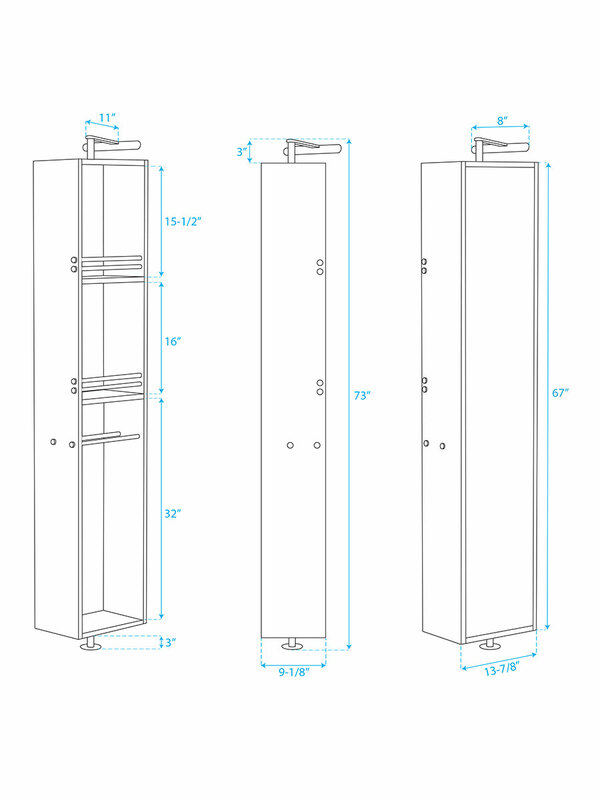 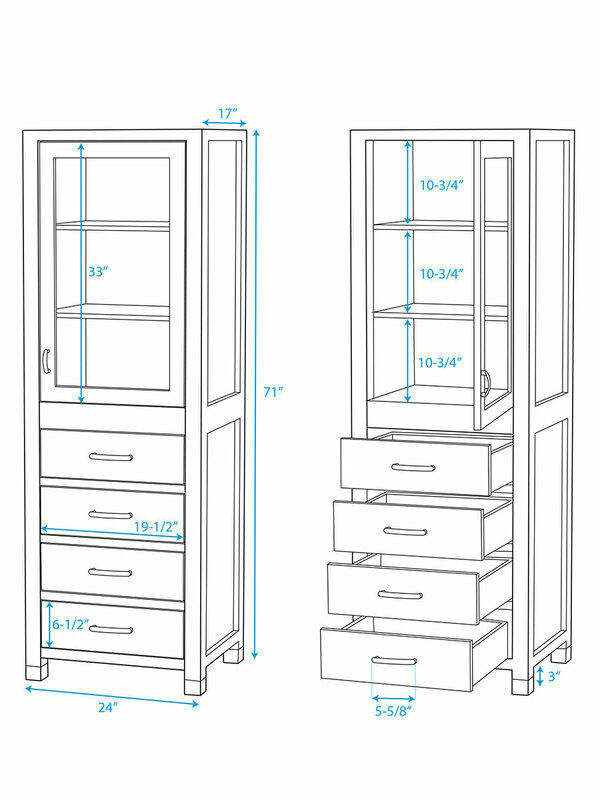 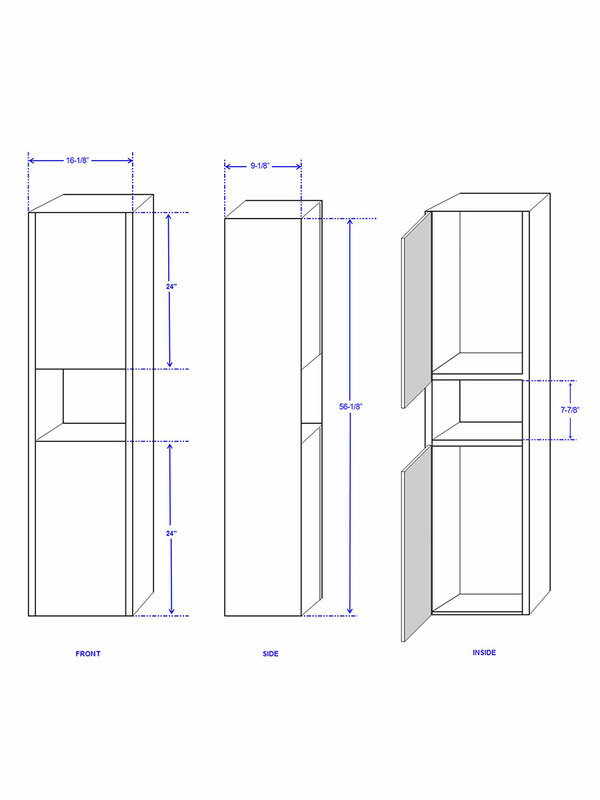 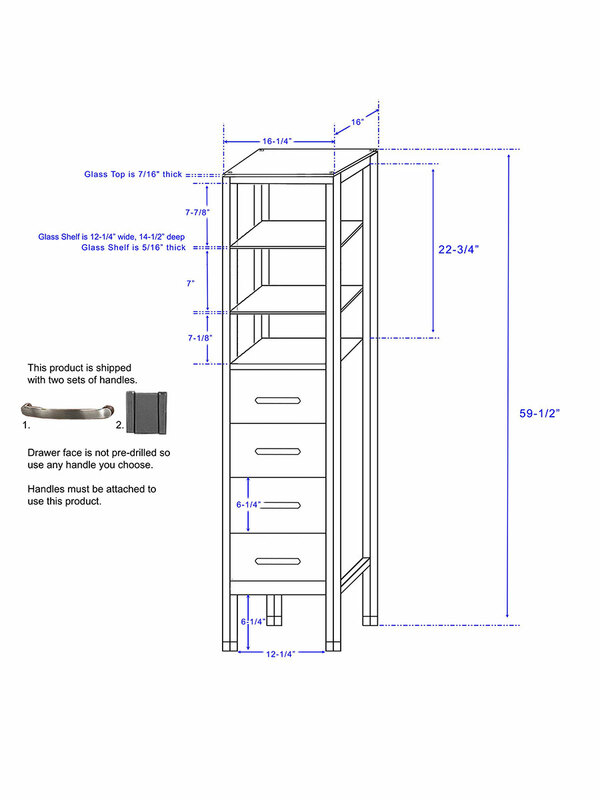 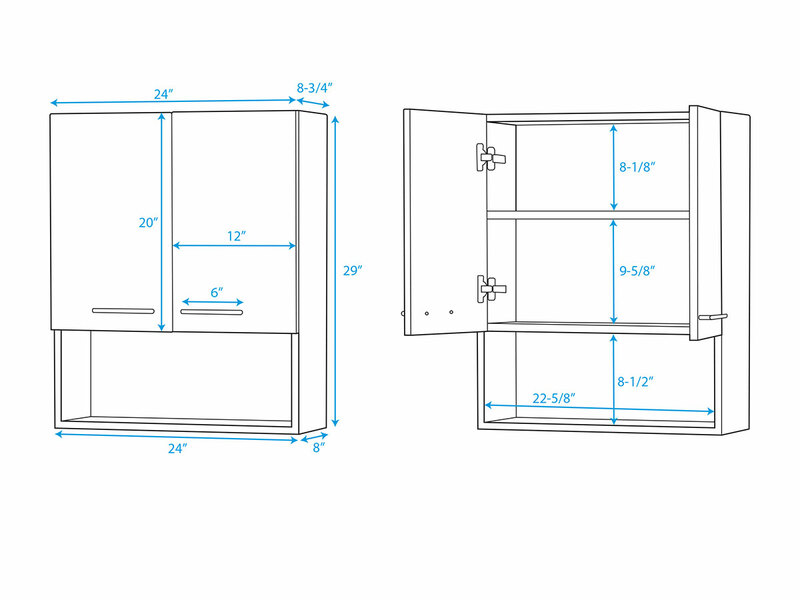 Add any of the six optional side cabinets to give your bathroom additional storage space.